"SHE asked if she could hold my hands or if it would hurt too much." Phil Williams met Princess Diana on his 18th birthday. It was a milestone he very nearly missed. A month earlier the Country Fire Service volunteer had been caught in the raging inferno that killed 75 people and became known as the Ash Wednesday bushfires. Terribly burned, he barely made it out alive and spent four weeks in hospital. ‘A tear rolled down her cheek’ ... Phil Williams tells his story to Princess Diana. 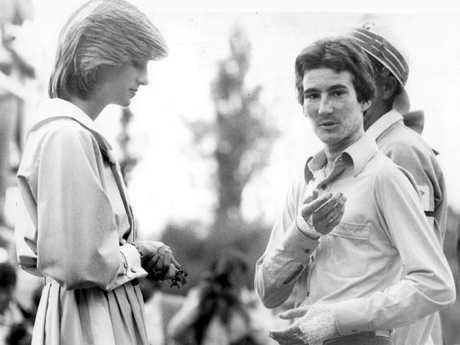 He had only been out for five days when Diana and Prince Charles came to meet fireys at SA's Stirling Oval on 26 March, 1983. Phil went along with his mother, not expecting to be presented - and at first his attention was on his ravaged unit and what was left of their van. "That was quite emotional," he said. "I could not believe that any of us survived, let alone all of us. "I was looking at the truck, then the then-director of the CFS, Lloyd Johns, came and got me and told me to get in the line to meet the royals. I said I wasn't in uniform - my overalls had been cut off me in hospital - but he said that wouldn't be a problem. "I was in the middle of my crew, halfway along the line-up. Lloyd Johns was doing introductions. Everyone else was just shaking hands. If I recall clearly Lloyd told her I had been burned - it was pretty obvious, my hands were still bandaged! "Diana stopped and asked if she could hold my hands or would that hurt too much. I said 'No that's fine.' She took them and held them ever so gently, both my hands in hers. "What a lot of people did not notice was a tear rolled down her cheek. She had asked me what happened and I was telling her the story. She asked what happened on the day, and about how long I spent in hospital." "As much as people might think that was small talk, that she was being polite, she was genuine. She wasn't asking to be kind. That's when the tear rolled down her cheek." ‘A cracking sense of humour’ ... 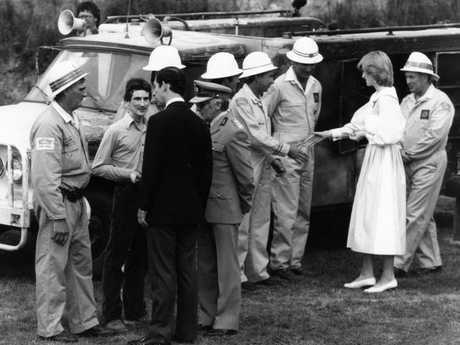 Prince Charles also impressed Phil, as the royals met the CFS crew at SA’s Stirling Oval in March 1983. Phil, now 52, has an interesting take on their connection - and it all comes down to age. "The thing is she would have been only about four years older than I was; the same peer group and generation. She related to everyone, no doubt about that, but I think she had that connection with me being in the same age group. "Again, that's something a lot of people don't realise - how human she and the royals are. Prince Charles as well, he has a cracking sense of humour, he's great. 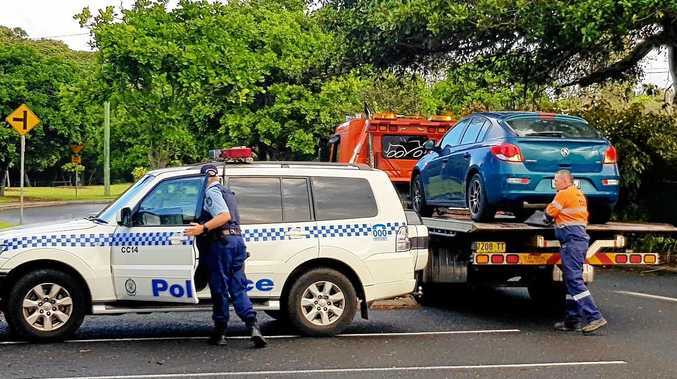 "When he spoke to me he asked 'Can you still lift a tinnie, or whatever they call it?' referring to a can of beer. My reply - 'Yep, the doctors told me I have to keep my fluids up so that's what I've been doing …' was met with a laugh. "I had a lot longer with Diana than anyone else. Her minders and everyone were trying to move them on - she turned round and told them to naff off. She made it clear she wasn't ready." 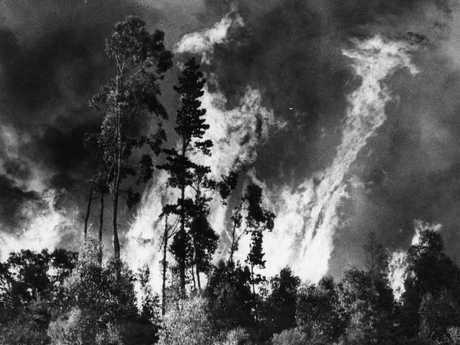 Red-hot rage ... the 1983 Ash Wednesday fires killed 75 people, injured almost 3000 and caused widespread damage. Phil, who lives in Ashford with his partner, later became a press photographer, working for News Corp Australia, so meeting famous people became daily work - but there was something special about Diana, the people's princess that remained with him. "It has stayed with me. She was so warm and genuine - that's the aura people talk about. "I think I was a bit awe-struck, I could not believe I was there in front of her. It was one of those moments, you do not realise the significance at the time. It was only after she and Prince Charles had moved on that I realised."